It’s official: offbeat sunglasses are trending this year. Just one look at the spring/summer catwalks is all you need to see that embellished frames and alternative shapes are taking over. Designer sunglasses may lead in this department, but we’ve done the research and guess what? There are stylish frames for every budget out there. To get you ready for next season, we’ve come up with the best styles you can buy right now in order to make a statement with your eyewear. Miu Miu is known for its offbeat, retro-inspired aesthetic. 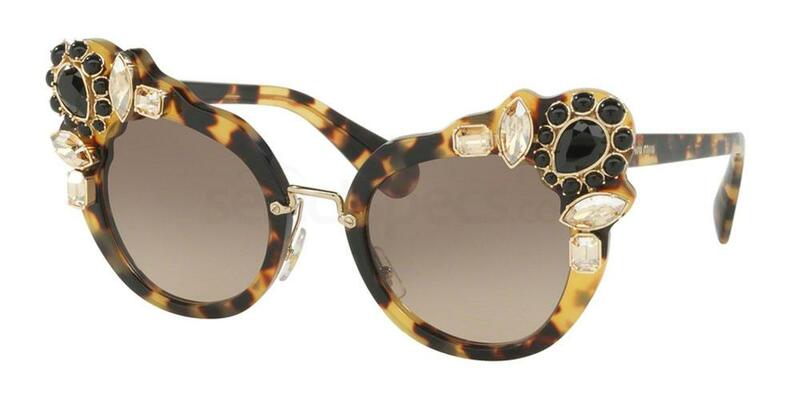 These bejewelled MU 04SS frames are just what you need to nail your next street style look. From the exaggerated cat-eye shape and tortoiseshell acetate frames, to the crystal embellishments at the temples, these sunglasses will ensure all eyes are on you. Plus, with a multitude of colours to choose from, you can pick the pair that best suits your personal style. 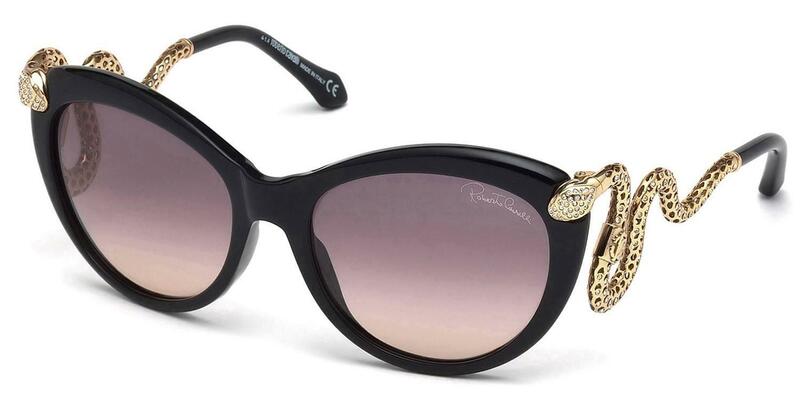 Bring a touch of exoticism to your accessory game with theses Roberto Cavalli RC889S sunglasses. 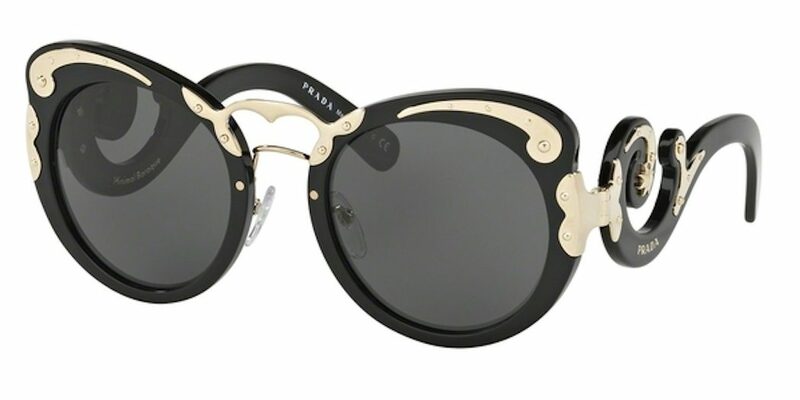 Utilizing the brand’s signature motif, these frames stand out due to the gilt serpent details which wind around the ears and double up as the arms. Perfectly oversized and embellished with crystals, these sunglasses are certain to turn heads for all the right reasons. 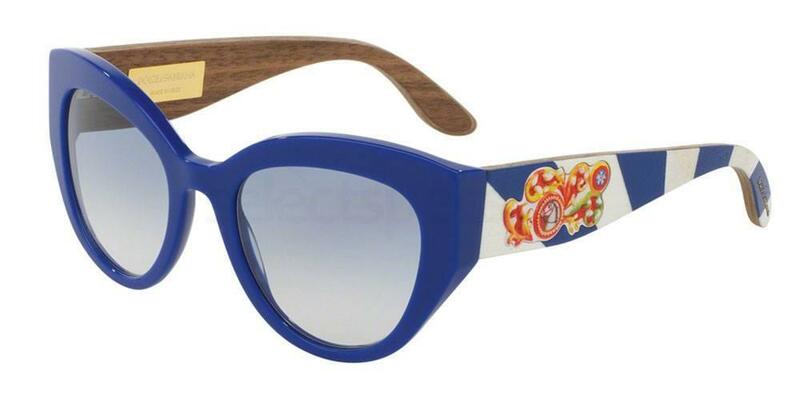 Bring the Isle of Sicily to your summer wardrobe with these Dolce & Gabbana DG427 sunglasses. Coming in blue and white stripes, these wood and acetate frames are reminiscent of the carrier bags you’d find browsing local market stalls of the designers’ native island. While the food motifs at the temples further add to the tongue-in-cheek notion of the design. Perfect if your style errs on the playful side of things, these sunglasses are the epitome of a Sicilian summer. Nothing says summer style like the colour yellow. When it comes to statement eyewear this season, you can’t go wrong with these brightly coloured 8121 frames from Savannah. Head-to-toe colour-blocking is a massive trend this season, so we recommend being brave and pairing these with an all-yellow ensemble. What’s more, they’re prescription ready so you can change the lenses to suit your eyesight needs. We love the two-toned finish of these Barbour International BIS 020 sunglasses. Proving that you can never go wrong with monochrome, these frames provide a dose of 60s style while also looking effortlessly modern. 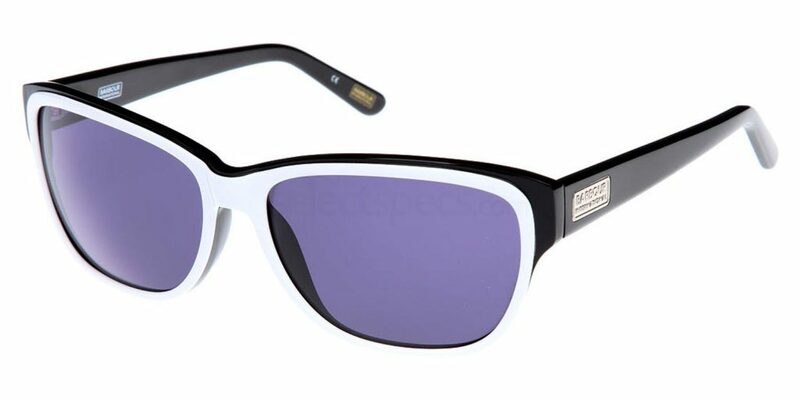 Featuring tinted lenses to reduce glare, they come complete with logo plaques at the temples for a cool, metallic focal point. 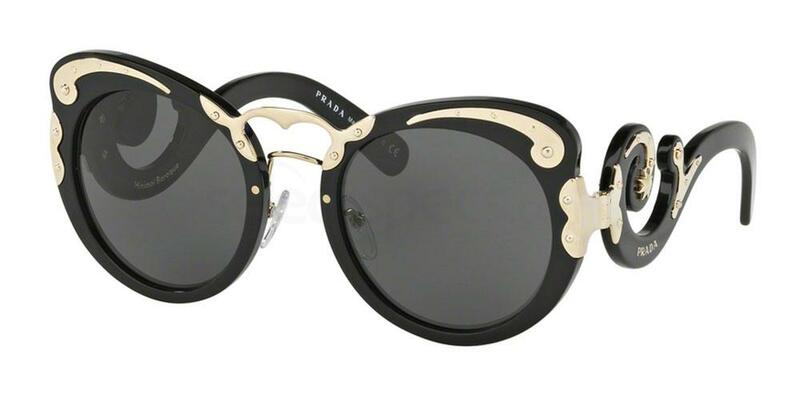 We can guarantee you’ll never have seen anything like these Prada PR 07TS sunglasses before. Inspired by Baroque design, these frames come oversized with metallic accents and swirly shapes for a stand out piece that will get you noticed. The embodiment of the fashion house’s SS17 collection, these frames are playful, bold and intuitive to the brand’s signature aesthetic. 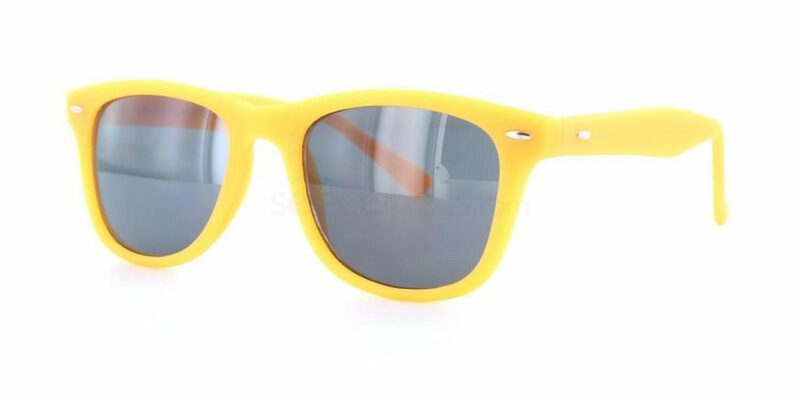 Offset them by keeping the rest of your outfit minimal – these sunglasses do all the talking.